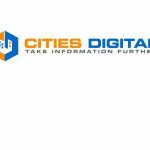 LONG BEACH, CA (Laserfiche)—July 23, 2012—Laserfiche is proud to announce that 20 of its customers—including the first place winners in all four population categories: Charles County, MD, Sussex County, NJ, Dutchess County, NY, and Fairfax County, VA—have been named among the most advanced digital counties in 2012 by the Center for Digital Government. 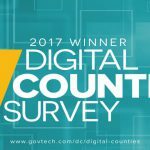 In addition to the winners, the survey revealed that county governments are focused on using technology to cut costs and improve service delivery. One key strategy for achieving these goals is implementing shared services. In fact, 78% of the counties surveyed revealed that they are pursuing joint service delivery, an increase of eight percent over 2011. The Laserfiche ECM system is designed to give IT managers central control over their information infrastructure, including standards, security and auditing, while still offering business units the flexibility to react quickly to changing conditions. The Laserfiche product suite supports Microsoft® SQL and Oracle® platforms.